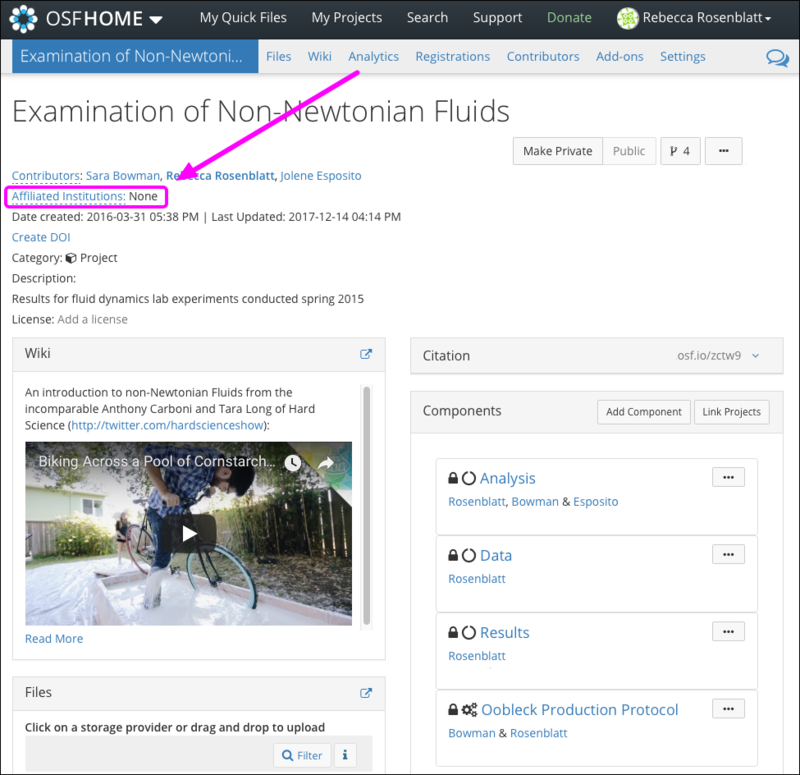 This article will show you how to affilate your research on the OSF with your institution. Affiliating your research enhances transparency, fosters collaboration, and increases the visibility of your work. You must have read+write or admin permissions in order to affiliate a project. 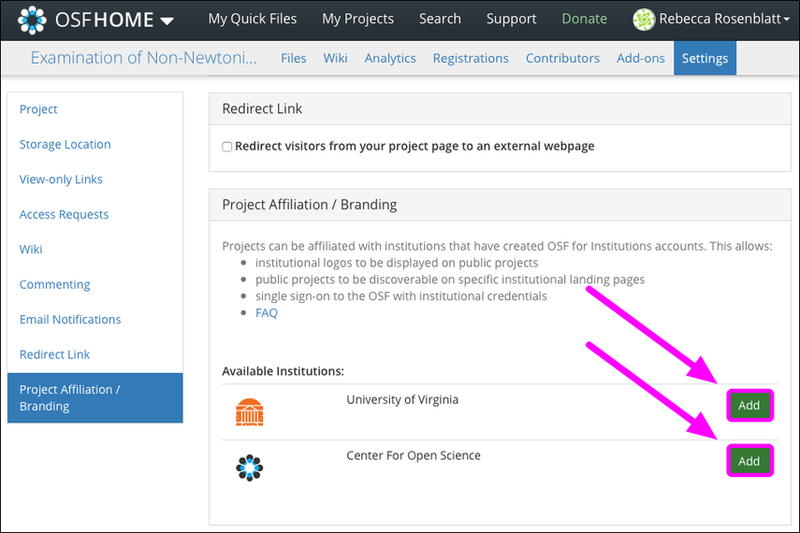 Note: You will only be able to affiliate your research if your institution has worked with the Center for Open Science to create a dedicated institutional OSF landing page. First, sign in to the OSF through your institution. You will be taken to your dashboard upon signing in to the OSF. 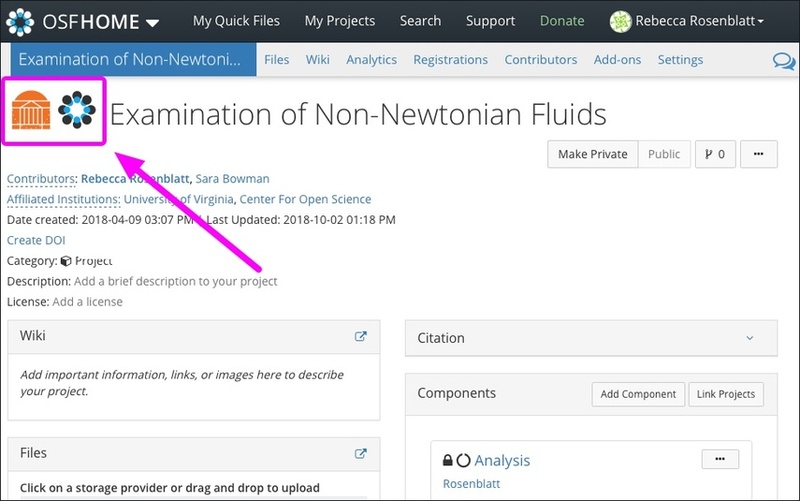 Click a project or component from the list displayed on your dashboard. You will be taken to your project or component "Overview" page. Below your project title, click the Affiliated Institutions link. You will be taken to your project's "Settings" page and directed to the "Project Affiliation/Branding" section. The available institutions with which you can affiliate will be listed here. 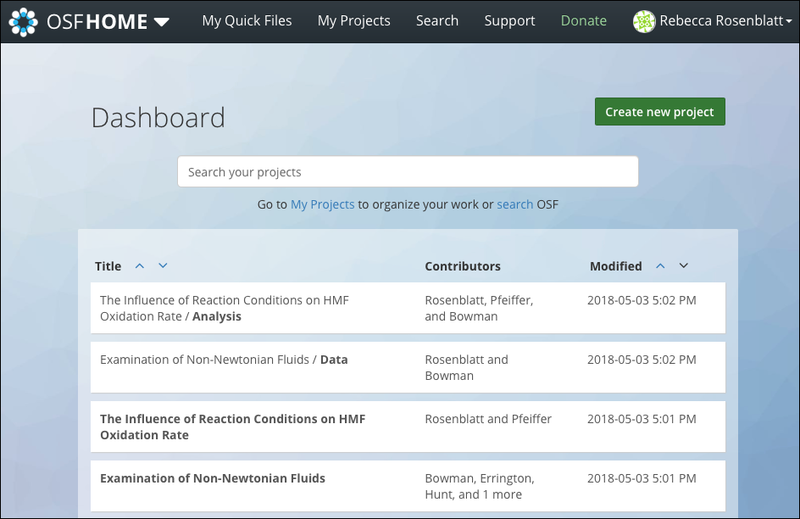 You will only be able to affiliate your project with your institution if your institution has worked with the Center for Open Science to create a dedicated institutional OSF landing page. Click the Add button to the right of the institution that you want to affiliate with your project. If your project/component has nested components, the "Add institution" modal will appear. If your project/component does not have nested components, this modal will not appear. Choose whether you want to add the affiliated institution to just your project/component or if you want to extend the affiliated institution to its nested components, as well. The name of your institution and its institutional logo will appear on your project or component "Overview" page.